Zopper GST Invoice and Point-of-sale solution functions on Android & Ios enabled devices. It assists more than one store and the number of people in any shop structure. 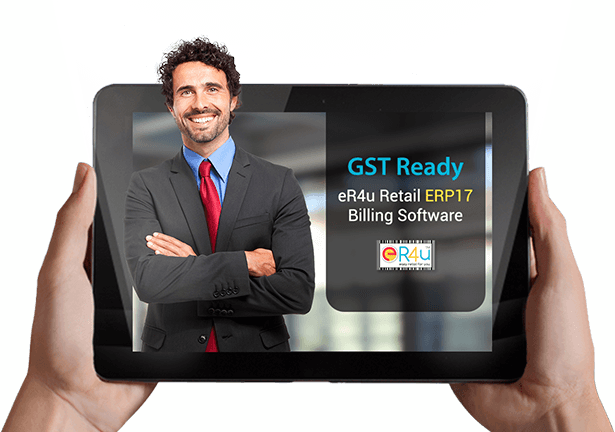 eR4u - Easy Retail For You is a POS Software that involves Customer Relation Management, Invoicing, Stock Management, Barcoding, Scheme, Discounts etc along with multiple payment utilities. The substitute software of Zopper POS i.e. eR4u is much uncomplicated to operate and comes up with an inbuilt index to get your billing and invoicing get underway in a fraction of seconds. eR4u is also available on any Internet-enabled devices/ Mobiles / Tablet etc same as Zopper Billing Software with a loyalty point system which is built to make shopkeepers capture the attention of shoppers to a great length. Select the most suitable eR4u for your store for any location in India at a low price than Zopper. Your information is always safe and secured in eR4u Retail - Zopper Alternate Software. You don’t need to care regarding the misplacement of your important details due to some machine crash or your particulars going toward false hands owing to the fact of using eR4u Retail Software’s powerfully built data privacy design. The visitors will never leave your store without making the desired purchase from your store by using eR4u - Advance billing software. The modern attributes like notification alerts for less stock, automated reordering after you arrive at the least amount of inventory quantity while using Zopper Substitute POS so that your consumers on all occasions receive what they came for at your retail store.